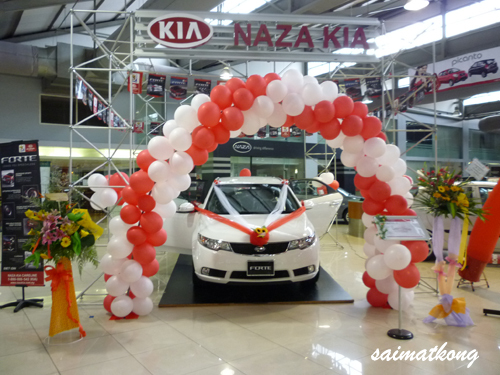 Went to TTDI NAZA and NAZA World @ Federal High Way to test drive and check out on the white color Kia Forte. It’s awesome! This white Kia Forte is awesome for me! 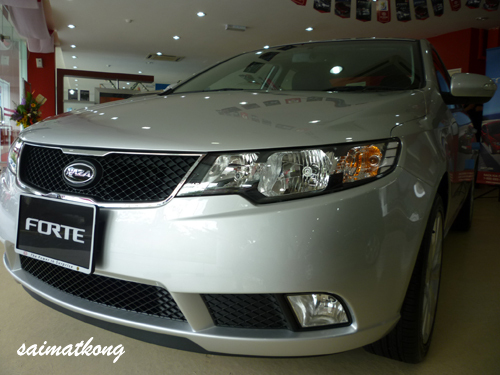 It’s good and it will make the Kia Forte looks much elegant and bigger. Ilusi optic ma. 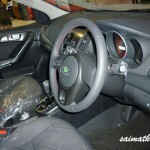 Will talk about this new Naza Kia Forte Interior soon. Stay tuned. 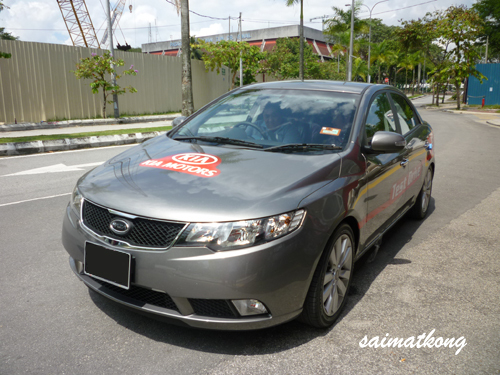 I have made a booking on this Kia Forte and placed a booking fees, deciding on the color and finding cheaper loan with the interest rate of 3.0 or 3.1 if possible and finding the highest price to trade in my Proton Wira Aeroback 1.3 Manual year 2002. Anybody looking for this car and want to buy? Sigh. 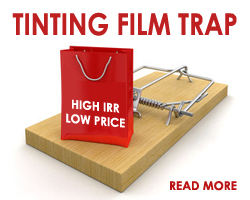 No money to pay upfront lol. My Kia Spectra don’t think can trade in lol. sure, no prob. just point back to my site for any more details they would like to check out also no prob. =) thanks. i saw in lowyat u are 1.6sx owner now! congra! i am planning to get this and would like to know how is the fuel consumption? i know you are working in hp eds cyberjaya… thanks. yup gonna replace the logo! 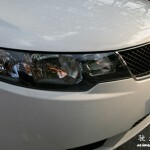 already bought the k emblem for the lovely naza kia forte! 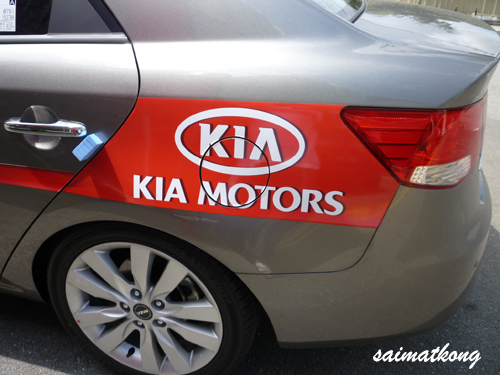 Can you let me know where I could purchase the KIA emblem for my new Kia Forte ?. 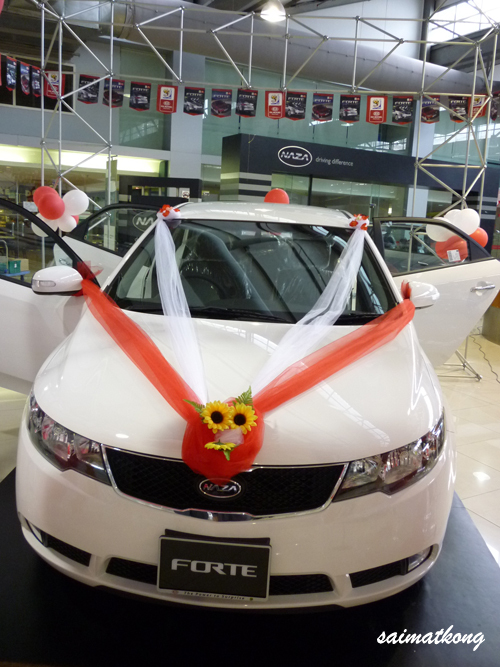 can u trade in a kia for a new kia forte? netta, sure can trade in why not? 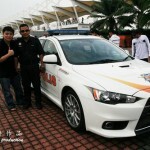 I had a look this car at Ampang point just now. 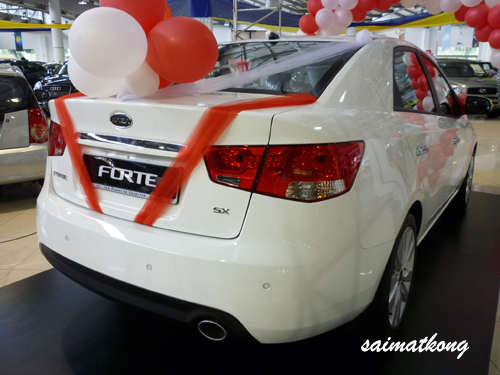 Anybody has compared this car with Honda City, Hyundai Ascent, Vios, Persona, Mazda 3 etc?? Which areas/features this car win??? saimatkong, i have a few question to ask. 1. from wat i seen above, is it really tat bad in terms of services?i had seen through it’s website and it is not that costly. then how bad is it?? 2. secondly, when driving in the city, is the handling meaty?i am refering to the 1.6sx model. since it is hydraulic powered steering. 3. what is the top speed you can get with this car? 1) depends on which service center and some have good feedback. 3) I do not drive fast, but some of the Forte member drove up till 200km/j 1.6SX. 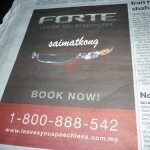 are there any good service centre in klang?? ohya, what i meatn by Q2 is when driving around city area which need to do a lot of turnings. will the steering wheel be heavy then those electric power steering? wau..i cant believe they can go up to 200km/h. they turbocharged their car izit?? hmm I only went to Jalan Tandang and it’s okok la… Steering is ok also. Go test drive to check it out! 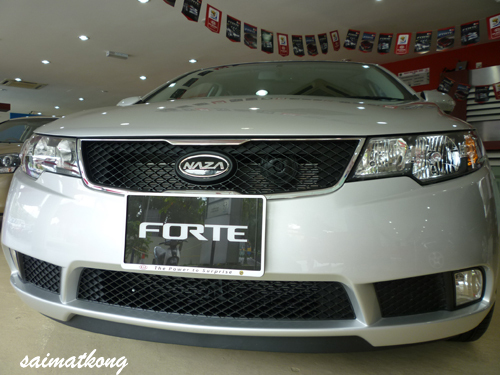 hi, i’m planning to get a forte, do u think i should take ex or sx and what color suitable for me? 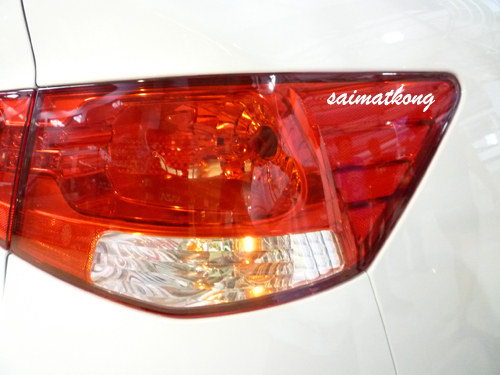 actually i like white but scared hard to maintance so thinking bout metal bronze n titanium silver. what’s ur opinion? Hi Bibi, depending on your budget, if you feel you want more gadgets and better specs then go for SX but EX now come with free bodykit and sports rim as well. If u free come to Old Boy Puchong this Saturday 9-10am to meet us there. do ur sx got bodykit? is there 1.6lsx got power with 17′ rim? 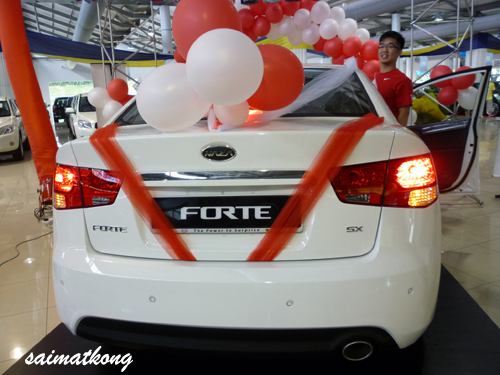 finally i had book white forte 1.6lsx..
hi, forte 1.6 run by timing chain or timing belt? kh : it’s timing chain. I have been driving the 1.6 SX since March 2010. 1. 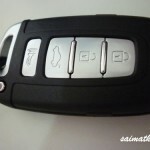 Enjoys the car very much, inside out – the features are rich. 2. Enjoys the driving and the road holding is superb. 3. Attracts lots of onlookers. 1. The steering is heavy due to no EPS. 1. 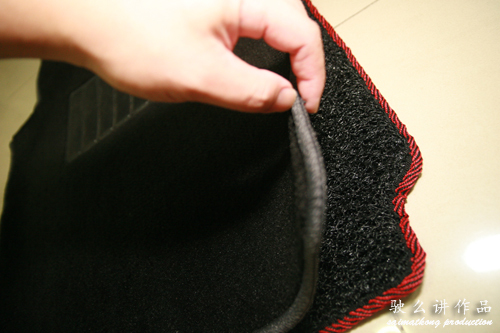 The service center can be improved further. Though not much complaints on my 1st visit to have the car serviced, but overall service delivery is so much lacking when I compared to Toyota service center. By the way, this comparison if for the one in Bkt Raja (Kia) and Toyota in Telok Panglima Garang.